When we make our favorite apple cake recipe, favorite apple bread recipe or any others, this wonderful fruit is often taken for granted. Why does this recipe appeal to our taste buds? It is much more than just a flavor. Whether you use applesauce or pieces of fresh apples, the moistness and texture also improves. Year ago we did not have apples at our disposal year round. We would long through the summer months awaiting the arrival of the first ripe apples. We only could get them in the late summer and fall months of the year. It was so exciting to smell the wonderful aroma of our first apple cake recipe of the season emanating from the oven door. Today, no fruit is grown in greater volume and is more readily available to us all year long than the apple. This fact alone encourages us to over look the importance of the delicious fruit. 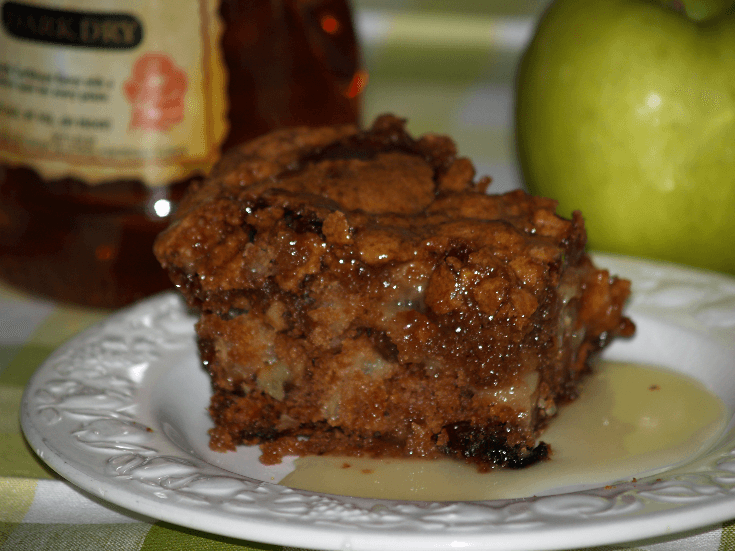 Aside from the flavor, texture and moistness which it adds to our favorite apple cake recipe (as I mentioned above) it is also a good source of vitamins. Why not add that to our cakes? That is a good reason to eat more; as if we need a reason! 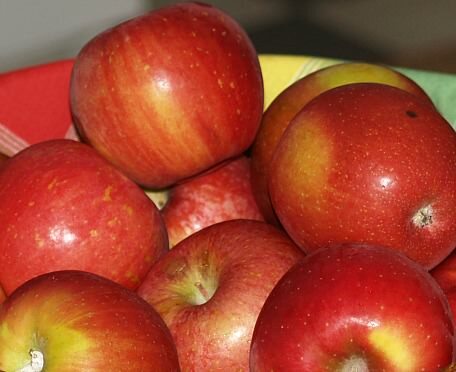 Another important fact about apples is that most are very sweet; many pie apples can produce a delicious apple pie with very little or no added sugar. We all know about the sweet eating apples, but for years homemakers would add apples in order to cut back on the sugar to sweeten cakes and other desserts. My mom would do this when she had apples; I remember her doing this in apple coffee cake recipes and in her apple dumplings. Now I have noticed that many health advisers are advising people to apply this same method to cut back on the sugar in their diet. Preheat oven to 350F degrees; grease and lightly flour 13X9 inch baking pan or dish. Sift together in a large bowl the flour, soda, salt, baking powder and cinnamon; set aside. Combine and beat the oil, sugar and eggs; stir in the dry ingredients. 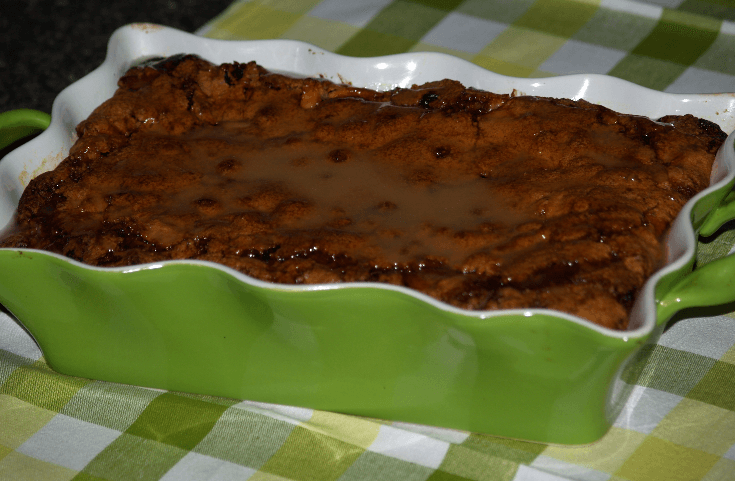 Stir in apples, raisins and nuts; spoon into prepared baking pan. Bake 50 to 60 minutes until pick comes out clean. TO MAKE SAUCE combine sugar, butter and cream. Stir over medium until hot; stir in rum cooking about 5 minutes. Let sauce cool to room temperature; spoon over warm or cooled cake. Grease and flour 10 ½ x 15 ½ x 1 inch baking sheet. Combine the flour, sugar, eggs, soda and vanilla: mix until well blended. Stir in the nuts, coconut and pie filling. Spread into prepared baking pan and bake 35 minutes; Spread icing on warm cake. Combine the brown sugar, cornstarch, cinnamon, lemon juice, water and butter in a saucepan. Stir in the sliced apples and cook until hot; about 10 minutes. Cream the butter and cheese together until smooth. Gradually beat in the powdered sugar. Fold in the vanilla and walnuts. Spread over warm cake. Cream butter and sugar; add eggs beating after each. Sift together the flour, cinnamon, salt, soda and nutmeg. Add the dry ingredients to the creamed mixture and mix well. Stir in the apples, vanilla and nuts. Pour into the prepared baking pan; bake for 40 to 45 minutes. Grease and lightly flour 12 inch tube pan. Cut each caramel into 8 little bits. In a medium bowl, sift the flour, cinnamon and allspice. In a large mixing bowl beat the powdered sugar, butter and vanilla until light and fluffy. Gradually add the dry ingredients to the egg mixture mixing well. Fold in the apples and caramels. Spread batter into the prepared tube pan. Bake for 1 ¼ to 1 ½ hours; keep check on cake after 1 hour for doneness. Cool for 10 minutes and invert on cake plate. Mix first 3 dry ingredients; cut in butter. Add egg and milk mixture; mix and press in bottom and up sides of 8 inch round pan. Peel apples and slice into dough lined pan; sprinkle dry Jello over top of apples. Sprinkle with sugar (amount depending on tartness of apples). Mix following topping and sprinkle over top. Combine sugar and flour; cut in butter. Sprinkle over apples; bake in preheated oven at 375F degrees for 45 minutes. Preheat oven to 325F degrees; grease and lightly flour 9 X 13 inch baking pan. Beat egg and sugar in mixing bowl until light lemon colored. Add flour and butter to eggs and blend well. Peals pears and apples and slice thinly; add to cake batter. Stir in rum and baking powder; pour batter into prepared pan. Bake 35 minutes; cool and sift powdered sugar over the top.